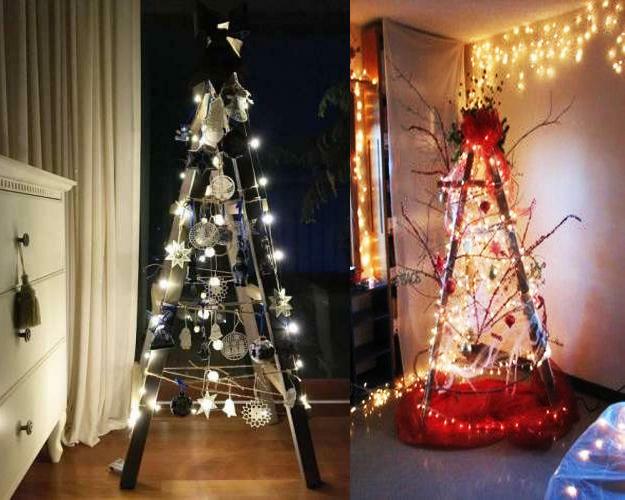 Alternative Christmas trees are one of the most popular trends this holiday season. 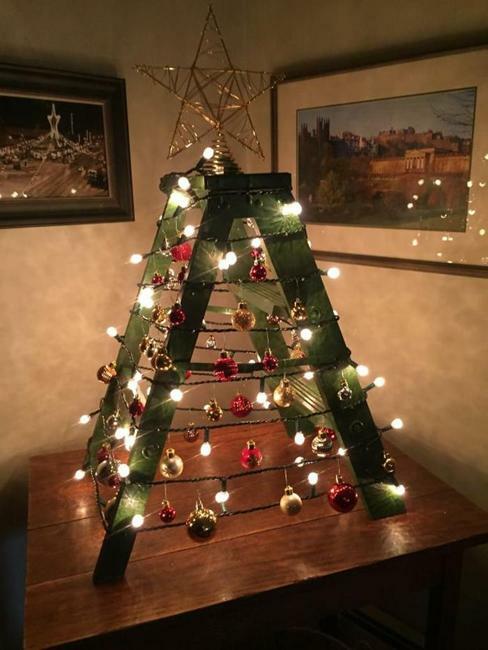 Instead of cutting down a beautiful tree or buying a Christmas tree you can do something completely different, eco-friendly, amazingly creative and money saving. 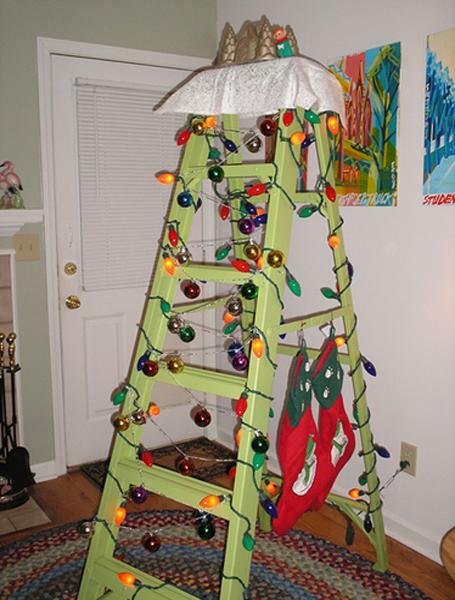 Original and cheap ideas produce surprising designs that turn functional step ladders into a beautiful and unique Christmas tree. 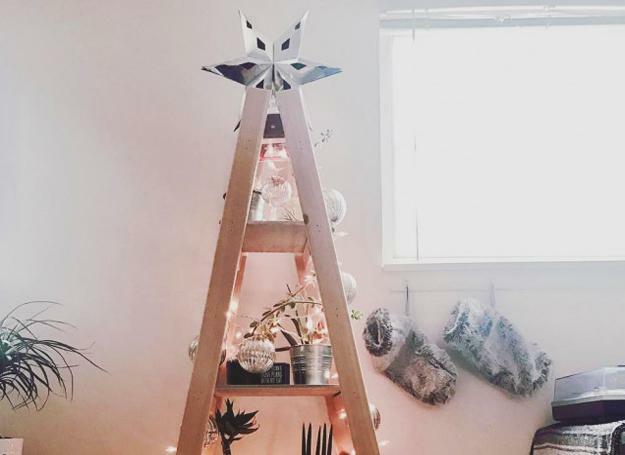 Saving money and exploring your creative side you help the environment and design festive, brilliant, original, and Green holiday decor. 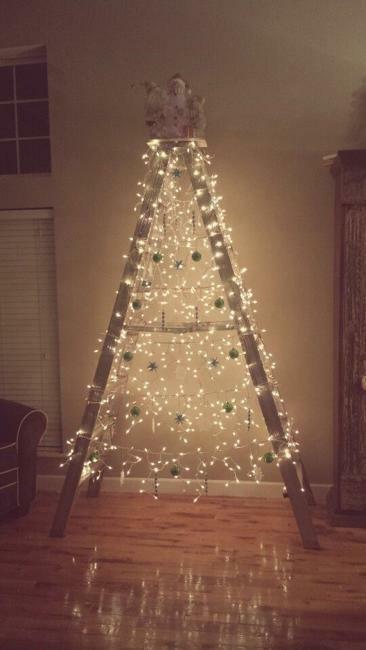 Creating a Christmas tree out of an ugly step ladder will help reuse and recycle Christmas decorations you have at home. 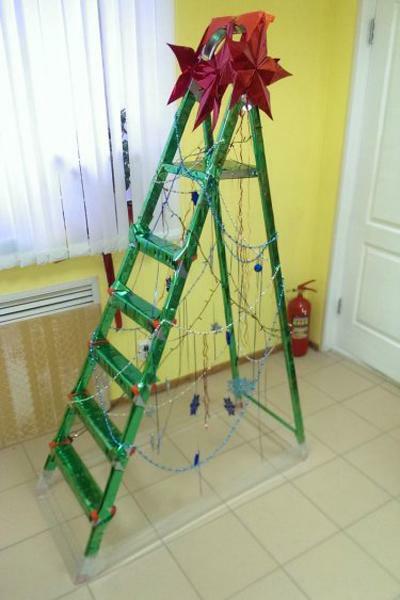 The design is surprising, so there is no need to buy new ornaments for the winter holidays. 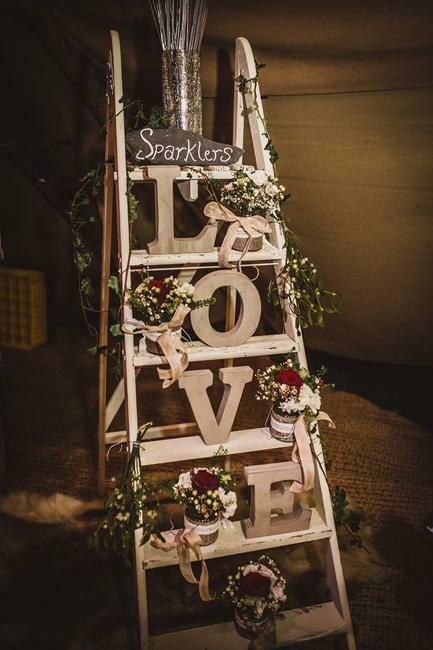 You will save money and discover fabulous ideas to use your step ladder in a new way for years. 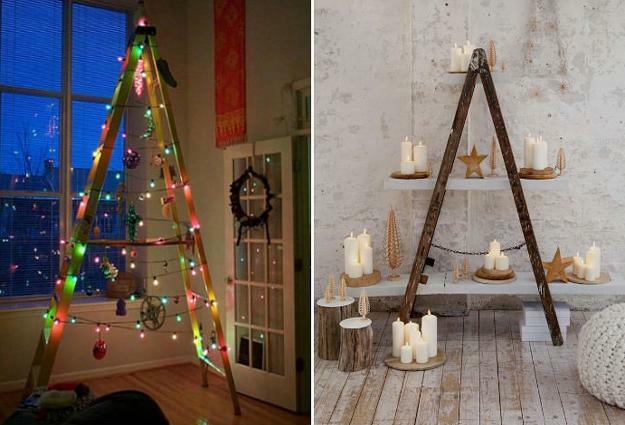 Making beautiful, unusual, and festive Christmas tree decor every winter will cost you nothing. 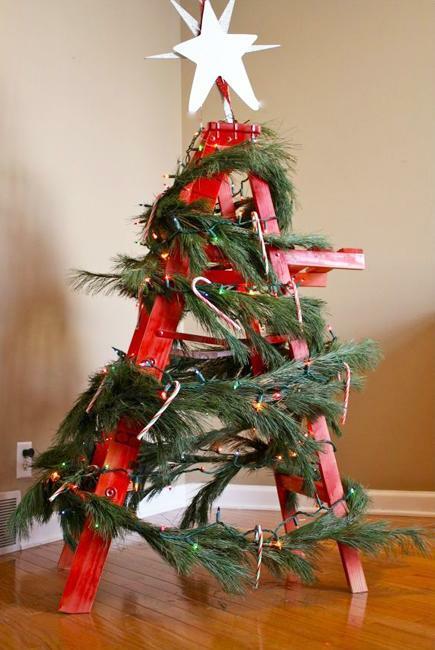 You may want to paint your step ladder before decorating it. 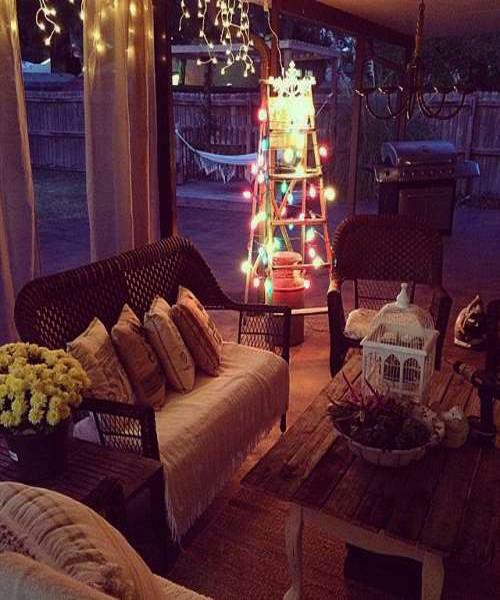 Any color you like will work for extravagant and impressive winter holiday decor. 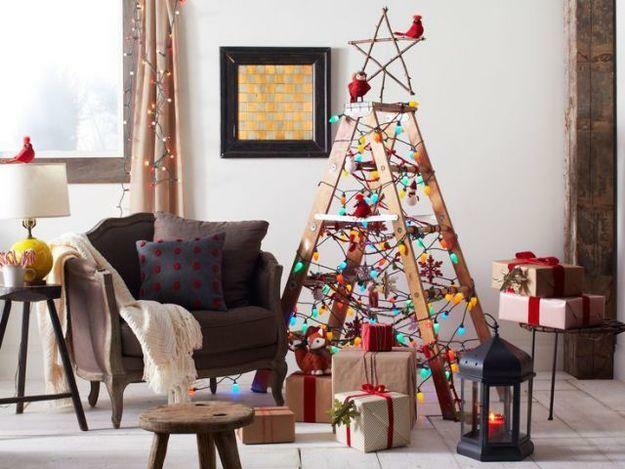 Matching decor colors with existing Christmas ornaments or creating a striking contrast with your tinsels and decorations are excellent ideas for brightening up your alternative Christmas tree design. 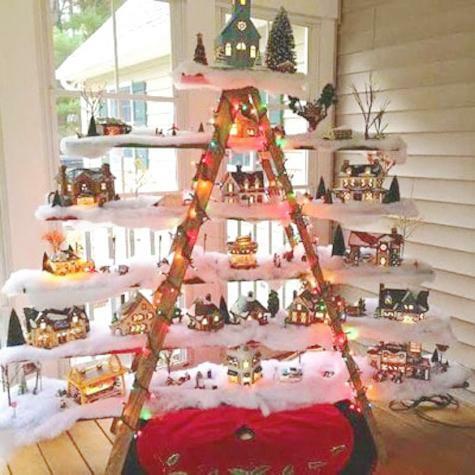 Find a safe place for a step ladder, away from the traffic, kids, and pets, and start decorating it with your favorite ornaments, light strings, and handmade Christmas decorations. 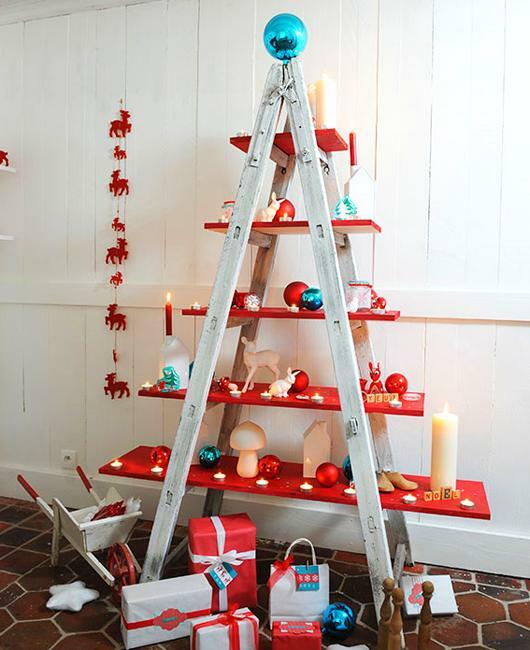 You can place wood boards on the steps and create nice shelves for displaying pictures, winter figurines, soft toys, candles, and Christmas cards. 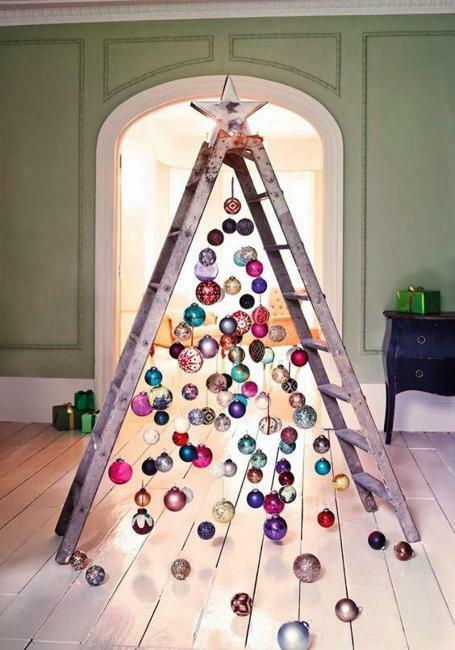 Mix small and large ornaments. Unite them by color. 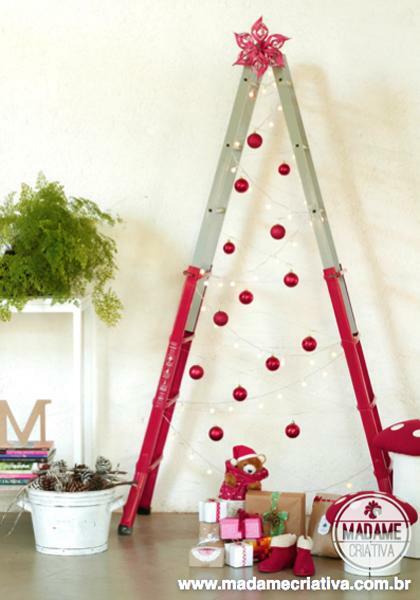 Create a winter decorating theme and lovingly adorn the unique Christmas tree. 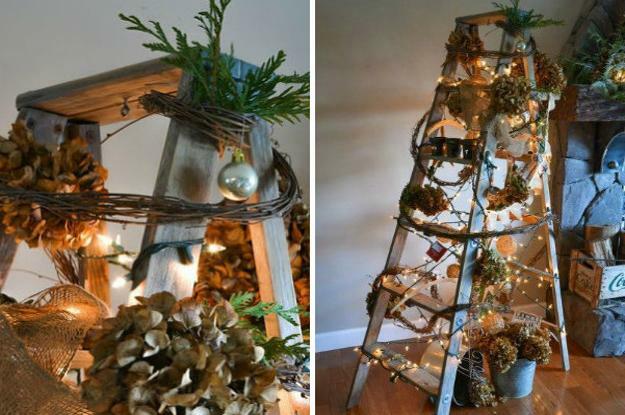 It will make an impressive centerpiece and jazz up your winter decorating. 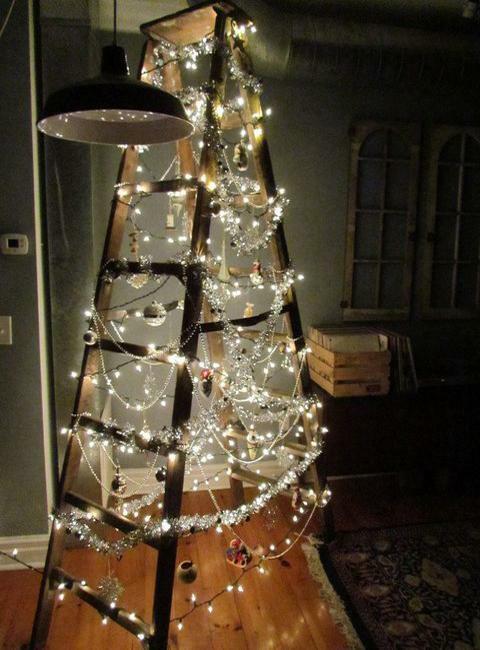 Wind the tinsels around your alternative Christmas tree from top till bottom. 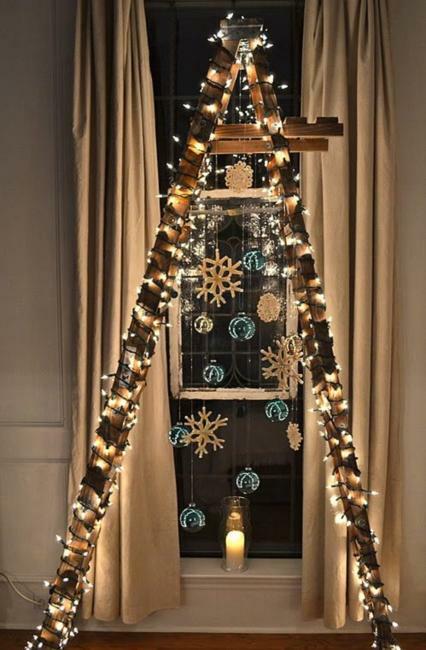 You can tape garlands and tinsels to keep them in place. 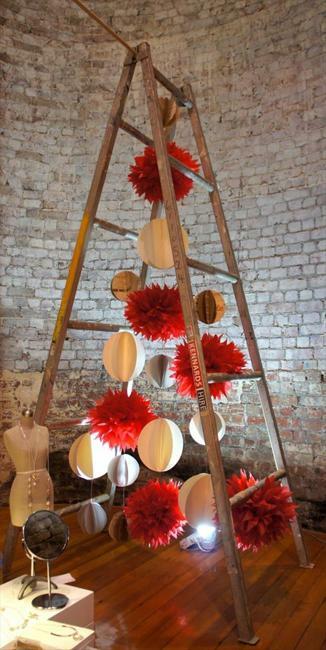 Hang Christmas balls and add snowflakes to enhance the winter holiday mood. 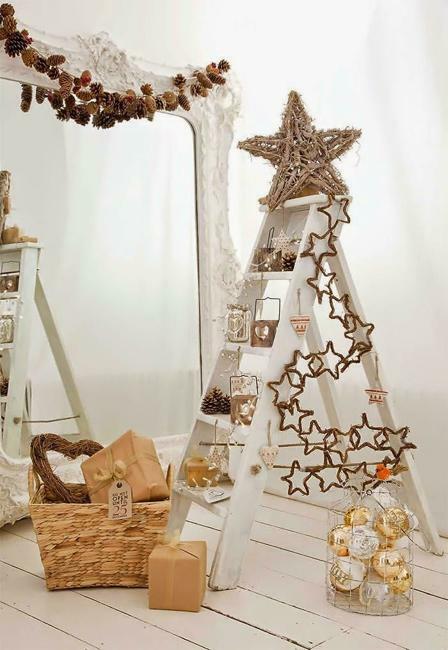 Your favorite ornaments, traditional Christmas tree decorations, ones handed down from generation to generation, or extravagant new designs will look fantastic on your tree. 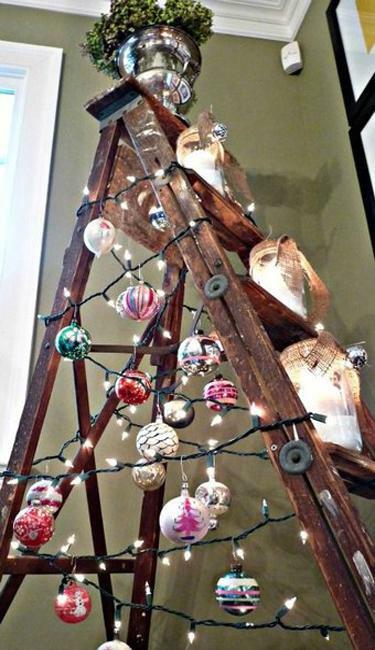 Top off your alternative Christmas tree with a star or a giant ornament. Place it on the top. 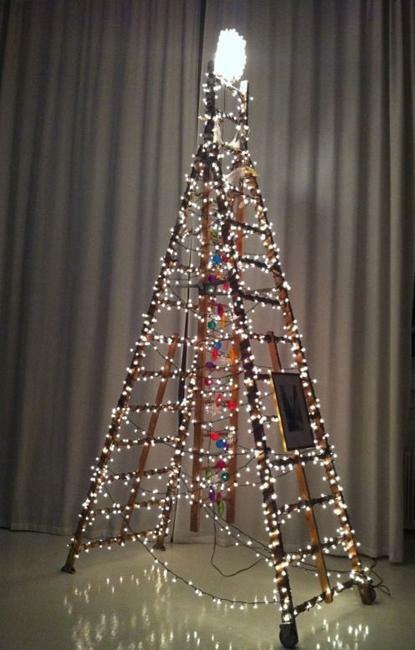 Add a tree skirt at the bottom making the centerpiece look like a real Christmas tree. 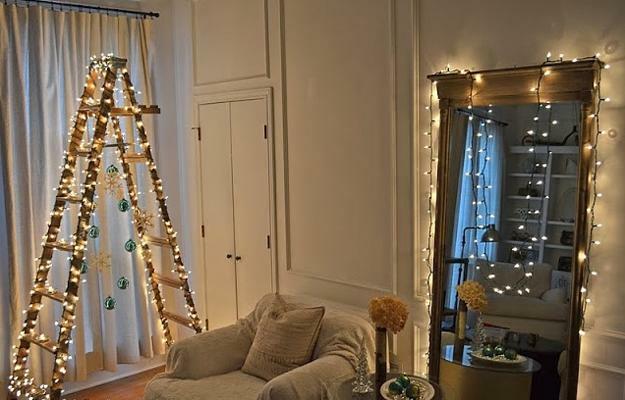 Personalize Christmas decorating with crafts and add Christmas lights to make the brilliant design the center of attraction. 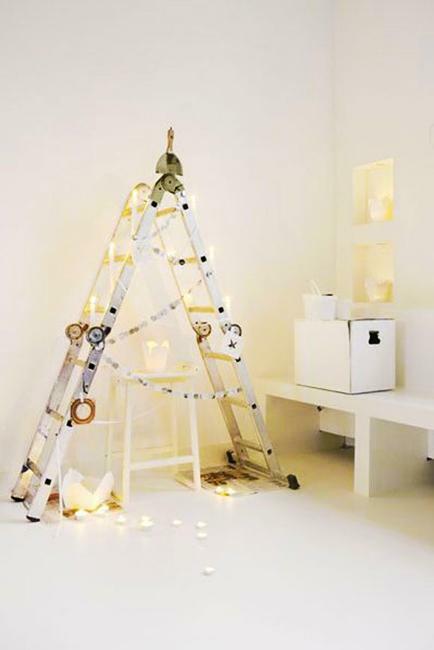 Come up with original ideas or steal the look of alternative Christmas trees Lushome collected below. Have fun and enjoy the holiday season!